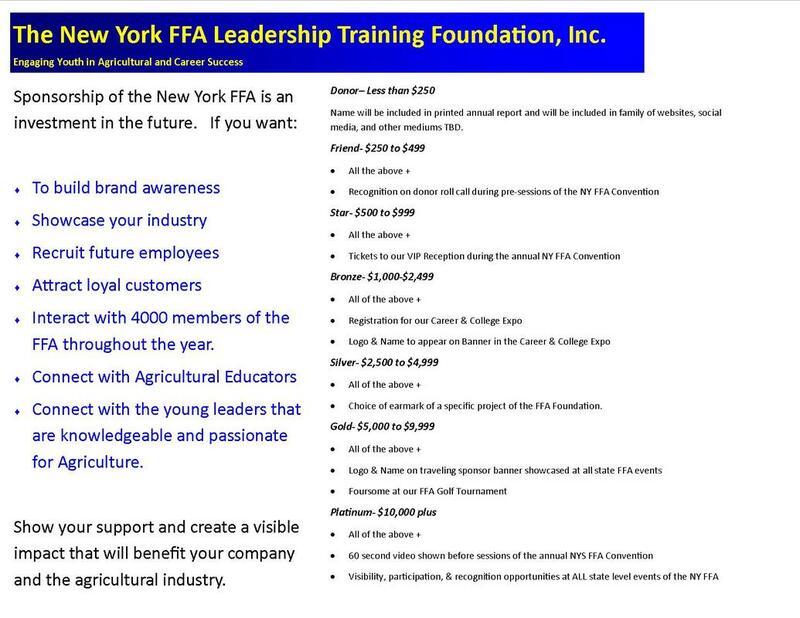 Today is the day to become the recognized recruiter of tomorrow's workforce. The investments you make today, pay off now and tomorrow. 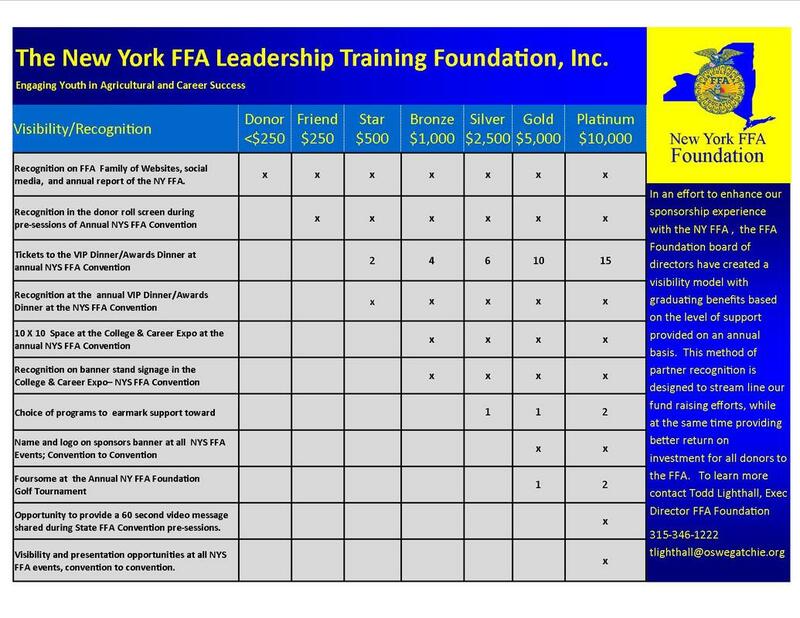 The chart below showcases the benefits of visibility as a sponsor of the New York FFA.